Where is this company registered? Different states have different rules and regulations. 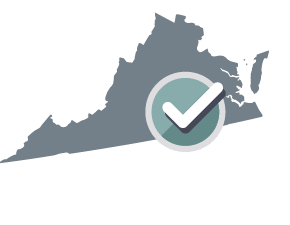 Your LLC Operating Agreement will be customized for Virginia. What is an LLC Operating Agreement?An LLC Operating Agreement records the capital contribution of each member, rules on meetings and decision making and on joining or leaving the company. It is an internal management document which does not need to be filed or registered. The Member wishes to be the sole member of a limited liability company. The terms and conditions of this Agreement will govern the Member within the limited liability company. By this Agreement, the Member forms a Limited Liability Company (the "Company") in accordance with the laws of the Commonwealth of Virginia. The rights and obligations of the Member will be as stated in the Virginia Limited Liability Company Act (the "Act") except as otherwise provided in this agreement. While the Company consists only of one Member, any reference in this Agreement to two or more Members and that requires the majority consent or unanimous consent of Members, or that requires a certain percentage vote of Members, should be interpreted as only requiring the consent or vote of the sole Member. The Company will continue until terminated as provided in this Agreement or may dissolve under conditions provided in the Act. The Principal Office of the Company will be located at __________ or such other place as the Member may from time to time designate. Where the Company consists of two or more Members, no Member will have priority over any other Member for the distribution of Net Profits or Losses. A Member's Interest in the Company will be considered personal property. Where the Company consists of two or more Members, no Member will withdraw any portion of their Capital Contribution without the unanimous consent of the other Members. A Member's obligation to make their required Capital Contribution can only be compromised or released with the consent of all remaining Members or as otherwise provided in this Agreement. If a Member does not make the Capital Contribution when it is due, he is obligated at the option of any remaining Members to contribute cash equal to the agreed value of the Capital Contribution. This option is in addition to and not in lieu of any others rights, including the right to specific performance that the Company may have against the Member. Capital Contributions may be amended from time to time, according to the business needs of the Company. However, if additional capital is determined to be required and an individual Member is unwilling or unable to meet the additional contribution requirement within a reasonable period, and where the Company consists of two or more Members, the remaining Members may contribute in proportion to their existing Capital Contributions to resolve the amount in default. In such case, the allocation of Net Profits or Losses and the distribution of assets on dissociation or dissolution will be adjusted accordingly. Any advance of money to the Company by any Member in excess of the amounts provided for in this Agreement or subsequently agreed to, will be deemed a debt due from the Company rather than an increase in the Capital Contribution of the Member. This liability will be repaid with interest at such rates and times to be determined by a majority of the Members. This liability will not entitle the lending Member to any increased share of the Company's profits nor to a greater voting power. Repayment of such debts will have priority over any other payments to Members. An individual capital account (the "Capital Account") will be maintained for each Member and their Initial Contributions will be credited to this account. Any Additional Contributions made by any Member will be credited to that Member's individual Capital Account. No borrowing charge or loan interest will be due or payable to any Member on their agreed Capital Contribution inclusive of any agreed Additional Contributions. Management of this Company is vested in the Member. Any Member has the authority to bind the Company in contract. Any Member may invest in or engage in any business of any type, including without limitation, a business that is similar to the business of the Company whether or not in direct competition with the Company and whether or not within the established or contemplated market regions of the Company. Neither the Company nor any Member will have any right to that opportunity or any income derived from that opportunity. Each Member will devote such time and attention to the business of the Company as the majority of the Members will from time to time reasonably determine for the conduct of the Company's business. Where the Company consists of two or more Members, a meeting may be called by any Member providing that reasonable notice has been given to the other Members. Regular meetings of the Members will be held only as required. Each Member will be entitled to cast votes on any matter based upon the proportion of that Member's Capital Contributions in the Company. No new Members may be admitted into the Company. A Member may not withdraw from the Company without the unanimous consent of the remaining Members. Any such unauthorized withdrawal will be considered a wrongful dissociation and a breach of this Agreement. In the event of any such wrongful dissociation, the withdrawing Member will be liable to the remaining Members for any damages incurred by the remaining Members including but not limited to the loss of future earnings. The voluntary withdrawal of a Member will have no effect upon the continuance of the Company. It remains incumbent on the withdrawing Member to exercise this dissociation in good faith and to minimize any present or future harm done to the remaining Members as a result of the withdrawal. Events leading to the involuntary withdrawal of a Member from the Company will include but not be limited to: death of a Member; Member mental incapacity; Member disability preventing reasonable participation in the Company; Member incompetence; breach of fiduciary duties by a Member; criminal conviction of a Member; Operation of Law against a Member or a legal judgment against a Member that can reasonably be expected to bring the business or societal reputation of the Company into disrepute. Expulsion of a Member can also occur on application by the Company or another Member, where it has been judicially determined that the Member: has engaged in wrongful conduct that adversely and materially affected the Company's business; has willfully or persistently committed a material breach of this Agreement or of a duty owed to the Company or to the other Members; or has engaged in conduct relating to the Company's business that makes it not reasonably practicable to carry on the business with the Member. The involuntary withdrawal of a Member will have no effect upon the continuance of the Company. Where the Company consists of two or more Members, in the event of either a voluntary or involuntary withdrawal of a Member, if the remaining Members elect to purchase the interest of the withdrawing Member, the remaining Members will serve written notice of such election, including the purchase price and method and schedule of payment for the withdrawing Member's Interests, upon the withdrawing Member, their executor, administrator, trustee, committee or analogous fiduciary within a reasonable period after acquiring knowledge of the change in circumstance to the affected Member. Valuation and distribution will be determined as described in the Valuation of Interest section of this Agreement. Any remaining Members retain the right to seek damages from a dissociated Member where the dissociation resulted from a malicious or criminal act by the dissociated Member or where the dissociated Member had breached their fiduciary duty to the Company or was in breach of this Agreement or had acted in a way that could reasonably be foreseen to bring harm or damage to the Company or to the reputation of the Company. A dissociated Member will only have liability for Company obligations that were incurred during their time as a Member. On dissociation of a Member, the Company will prepare, file, serve, and publish all notices required by law to protect the dissociated Member from liability for future Company obligations. Where any remaining Members have purchased the interest of a dissociated Member, the purchase amount will be paid in full, but without interest, within 90 days of the date of withdrawal. The Company will retain exclusive rights to use of the trade name and firm name and all related brand and model names of the Company. Where the Company consists of two or more Members, in the event that a Member's Interest in the Company is or will be sold, due to any reason, the remaining Members will have a right of first purchase of that Member's Interest. In the event that a Member’s interest in the company is transferred or assigned as the result of a court order or Operation of Law, the trustee in bankruptcy or other person acquiring that Member's Interests in the Company will only acquire that Member's economic rights and interests and will not acquire any other rights of that Member or be admitted as a Member of the Company or have the right to exercise any management or voting interests. Where the Company consists of two or more Members, a Member's financial interest in the Company will be in proportion to their Capital Contributions, inclusive of any Additional Capital Contributions. In the absence of a written agreement setting a value, the value of the Company will be based on the fair market value appraisal of all Company assets (less liabilities) determined in accordance with generally accepted accounting principles (GAAP). This appraisal will be conducted by an independent accounting firm agreed to by all Members. An appraiser will be appointed within a reasonable period of the date of withdrawal or dissolution. The results of the appraisal will be binding on all Members. No allowance will be made for goodwill, trade name, patents or other intangible assets, except where those assets have been reflected on the Company books immediately prior to valuation. The Company may be dissolved by a unanimous vote of the Members. The Company will also be dissolved on the occurrence of events specified in the Act. Information regarding the status of the business and the financial condition of the Company. A copy of the Company federal, state, and local income taxes for each year, promptly after becoming available. Name and last known business, residential, or mailing address of each Member, as well as the date that person became a Member. A copy of this Agreement and any articles or certificate of formation, as well as all amendments, together with any executed copies of any written powers of attorney pursuant to which this Agreement, articles or certificate, and any amendments have been executed. The cash, property, and services contributed to the Company by each Member, along with a description and value, and any contributions that have been agreed to be made in the future. Each Member has the right to demand, within a reasonable period of time, a copy of any of the above documents for any purpose reasonably related to their interest as a Member of the Company, at their expense. Accurate and complete books of account of the transactions of the Company will be kept in accordance with generally accepted accounting principles (GAAP) and at all reasonable times will be available and open to inspection and examination by any Member. The books and records of the Company will reflect all the Company’s transactions and will be appropriate and adequate for the business conducted by the Company. The funds of the Company will be placed in such investments and banking accounts as will be designated by the Member. All withdrawals from these accounts will be made by the duly authorized agent or agents of the Company as appointed by unanimous consent of the Members. Company funds will be held in the name of the Company and will not be commingled with those of any other person or entity. Any of the Members will have the right to request an audit of the Company books. The cost of the audit will be borne by the Company. The audit will be performed by an accounting firm acceptable to all the Members. Not more than one (1) audit will be required by any or all of the Members for any fiscal year. This Company is intended to be treated as a disregarded entity, for the purposes of Federal and State Income Tax. A copy of the Company's federal income tax returns for that fiscal year. The goodwill of the Company will be assessed at an amount to be determined by appraisal using generally accepted accounting principles (GAAP). The Members submit to the jurisdiction of the courts of the Commonwealth of Virginia for the enforcement of this Agreement or any arbitration award or decision arising from this Agreement. A Member will be free of liability to the Company where the Member is prevented from executing their obligations under this Agreement in whole or in part due to force majeure, such as earthquake, typhoon, flood, fire, and war or any other unforeseen and uncontrollable event where the Member has communicated the circumstance of the event to any and all other Members and where the Member has taken any and all appropriate action to satisfy his duties and obligations to the Company and to mitigate the effects of the event. No Member may do any act in contravention of this Agreement. No Member may permit, intentionally or unintentionally, the assignment of express, implied or apparent authority to a third party that is not a Member of the Company. No Member may do any act that would make it impossible to carry on the ordinary business of the Company. No Member will have the right or authority to bind or obligate the Company to any extent with regard to any matter outside the intended purpose of the Company. No Member may confess a judgment against the Company. Any violation of the above forbidden acts will be deemed an Involuntary Withdrawal and may be treated accordingly by the remaining Members. All Members will be indemnified and held harmless by the Company from and against any and all claims of any nature, whatsoever, arising out of a Member's participation in Company affairs. A Member will not be entitled to indemnification under this section for liability arising out of gross negligence or willful misconduct of the Member or the breach by the Member of any provisions of this Agreement. A Member or any employee will not be liable to the Company or to any other Member for any mistake or error in judgment or for any act or omission believed in good faith to be within the scope of authority conferred or implied by this Agreement or the Company. The Member or employee will be liable only for any and all acts and omissions involving intentional wrongdoing. The Company may acquire insurance on behalf of any Member, employee, agent or other person engaged in the business interest of the Company against any liability asserted against them or incurred by them while acting in good faith on behalf of the Company. The Company will have the right to acquire life insurance on the lives of any or all of the Members, whenever it is deemed necessary by the Company. Each Member will cooperate fully with the Company in obtaining any such policies of life insurance. No amendment or modification of this Agreement will be valid or effective unless in writing and signed by all Members. Title to all Company property will remain in the name of the Company. No Member or group of Members will have any ownership interest in Company property in whole or in part. Headings are inserted for the convenience of the Members only and are not to be considered when interpreting this Agreement. Words in the singular mean and include the plural and vice versa. Words in the masculine gender include the feminine gender and vice versa. Words in a neutral gender include the masculine gender and the feminine gender and vice versa. If any term, covenant, condition or provision of this Agreement is held by a court of competent jurisdiction to be invalid, void or unenforceable, it is the Members' intent that such provision be reduced in scope by the court only to the extent deemed necessary by that court to render the provision reasonable and enforceable and the remainder of the provisions of this Agreement will in no way be affected, impaired or invalidated as a result. This Agreement contains the entire agreement between the Members. All negotiations and understandings have been included in this Agreement. Statements or representations that may have been made by any Member during the negotiation stages of this Agreement, may in some way be inconsistent with this final written Agreement. All such statements have no force or effect in respect to this Agreement. Only the written terms of this Agreement will bind the Members. This Agreement and the terms and conditions contained in this Agreement apply to and are binding upon each Member's successors, assigns, executors, administrators, beneficiaries, and representatives. Any notices or delivery required here will be deemed completed when hand-delivered, delivered by agent, or seven (7) days after being placed in the post, postage prepaid, to the Members at the addresses contained in this Agreement or as the Members may later designate in writing. "Additional Contribution" means Capital Contributions, other than Initial Contributions, made by Members to the Company. "Capital Contribution" means the total amount of cash, property, or services contributed to the Company by any one Member. "Distributions" means a payment of Company profits to the Members. "Initial Contribution" means the initial Capital Contributions made by any Member to acquire an interest in the Company. "Member's Interests" means the Member's collective rights, including but not limited to, the Member's right to share in profits, Member's right to a share of Company assets on dissolution of the Company, Member's voting rights, and Member's rights to participate in the management of the Company. "Net Profits or Losses" means the net profits or losses of the Company as determined by generally accepted accounting principles (GAAP). "Operation of Law" means rights or duties that are cast upon a party by the law, without any act or agreement on the part of the individual, including, but not limited to, an assignment for the benefit of creditors, a divorce, or a bankruptcy. "Principal Office" means the office whether inside or outside the Commonwealth of Virginia where the executive or management of the Company maintain their primary office. "Voting Members" means the Members who belong to a membership class that has voting power. Where there is only one class of Members, then those Members constitute the Voting Members. IN WITNESS WHEREOF the Member has duly affixed their signature under hand and seal on this ________ day of ________________, ________. An LLC is a type of business structure formed by filing the proper paperwork with your state, such as Articles of Incorporation. An LLC limits the liability of its members, meaning they are not personally responsible for the company's debt or obligations. An LLC Operating Agreement is a legal document that establishes the rights and responsibilities of each LLC member and provides details about the LLC's internal management, including how decisions are made, when meetings are held, how new members are admitted, and more. What does an LLC Operating Agreement include? The LLC Operating Agreement has information about the LLC itself, including the name, description of services, signing details for the LLC, and office address. An operating agreement also addresses whether a member can voluntarily leave the LLC, if they can compete against the LLC after leaving, how assets are distributed if the company dissolves, and how new members are admitted. An LLC Operating Agreement specifies how the company will be managed, including how decisions will be made and if actions require a majority of members to vote in favor of decisions (referred to as unanimous consent). Regular meetings are part of an LLC's obligations, which is why details regarding where and when meetings will be held are important to include in the operating agreement. An LLC can be managed either by a managing member (or members) or a designated manager(s). Financial and administrative aspects of an LLC are defined in the operating agreement, including the LLC's accounting methods, fiscal year, annual report details, and more. The questionnaire for LawDepot's LLC Operating Agreement allows you to choose how the company will be classified for tax purposes: either as a disregarded entity or a corporation. A disregarded entity means that the Internal Revenue Service (IRS) treats a single-member LLC similarly to a sole proprietorship, which is when the company is not addressed separately from its owner for tax purposes. A corporation means that the LLC will be taxed at the company level, and each member is responsible for paying income tax on any distributions. Generally, an LLC which has at least two members is, by default, treated as a partnership for tax purposes, but it can elect to be taxed as a corporation. The operating agreement may also specify who has the ability to sign contracts on behalf of the company and methods used to resolve disputes. Who is considered a member of an LLC? A member of a limited liability company is an individual or corporation that owns part of the LLC. He or she must have provided a form of capital contribution (e.g. money, services, property) in exchange for a percentage of ownership interest in the company. LLC's don't have shares like a corporation, but rather assign a percentage of ownership according to each member's capital contribution. Regardless of the amount of members in an LLC, ownership percentages should always add up to 100%. Why should an LLC use an Operating Agreement? By creating and agreeing to all the terms laid out in an operating agreement, members find there are fewer discrepancies in how business is conducted or how profits and losses are distributed. An LLC Operating Agreement also allows members to specify their own rules for the company, and serves as an important reference tool if a member decides to withdraw, the company dissolves, or a new member is admitted. Can members amend (change) terms in the LLC Operating Agreement? Yes, an operating agreement can be amended if every member agrees and signs an amendment. A general partnership balances minimum paperwork and regulation with maximum risk for the partners. In a general partnership, each partner is liable for all the debts and obligations of the partnership. An LLC combines the limited liability of a corporation with the tax advantages of a general partnership. 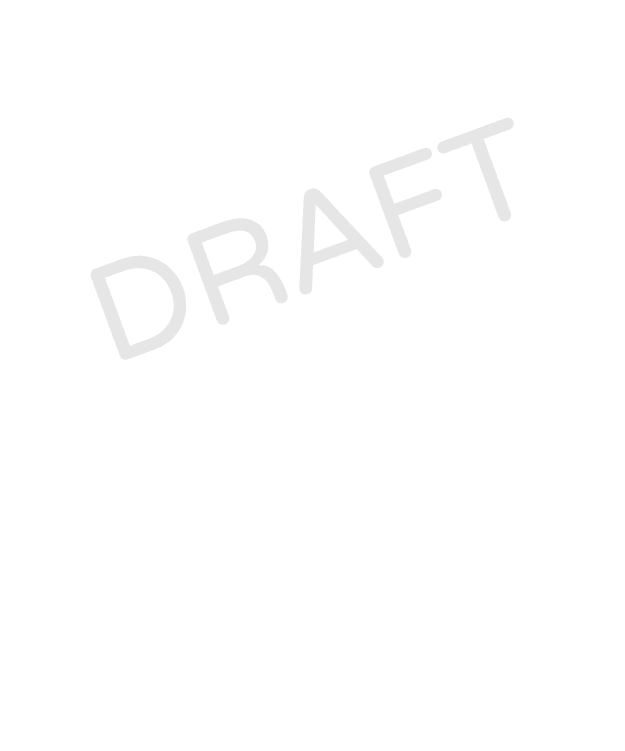 Personalize your LLC Operating Agreement template.